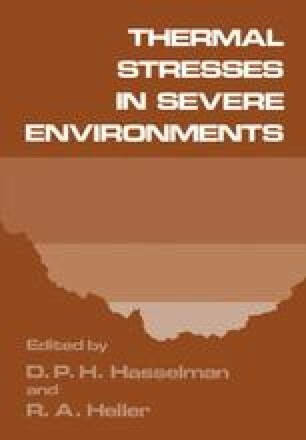 Experimental data indicate that stress response predictions based on the normal assumption of thermorheologically simple material behavior can underpredict observed stress response by a factor of two or more when applied to combined thermal and mechanical load histories. In highly filled polymeric systems, such as solid propellants, combined thermal and mechanical synergistic effects induce high local stress gradients in the polymer binder between filler particles that are not accounted for in conventional analysis methods. An experimental and analytical methodology is demonstrated which accounts for these interaction effects and is applied to slow thermal-mechanical loading of a solid propellant rocket motor.